Britain's Pharma industry has been raising concerns around stock-piling drugs, high risks of creation of an artificial demand for medicines, possibly inflated tariffs as the Brexit showdown looms closer. Reports of patients stocking weeks worth of Epilepsy medications, Insulin injections and cancer drugs have surged in recent times. South Asians are known to be up to 6 times more likely to have type 2 diabetes than the general population and insulin helps in regulation of the blood sugar levels. But in a no-deal Brexit scenario, one of the major concerns is the fact no insulin is currently manufactured in the UK , meaning it has to be imported. While some attribute it to fear-mongering, consumers are worried about a potential no-deal Brexit after the consequent showdown in Parliament where Prime Minister Theresa May's deal doesn't seem to have any cross-party consensus. But how does a no-deal or a Hard Brexit impact the Pharma industry? “Within the EU, the health regulations are the same. So, at the moment if you have a drug manufactured or released in France, it is okay for them to be imported and used in the UK,” said Bharat Shah co-founder and director of Sigma Pharmaceuticals Plc. Sigma Pharmaceuticals import quite a bulk of their medicines from manufacturers in India, China and even Vietnam. “It will make a difference in a few cases, like Aurobindo Pharma, who have release their stock in Malta, Torrent which releases everything in Germany, and perhaps Sun Pharma which unload their stock in Ireland among others,” Mr Shah continued. Britain is pushing to remain under the EU regulation for medicines after Brexit. And the UK hopes to be regulated by the European Medicines Agencies (EMA), even as the body moves from London's Canary Wharf to its post-Brexit home in Amsterdam. More than 37 million packs come from the EU to the UK while about 45 million packs of medicines are supplied the other way around. “If there is a hard-Brexit then that means Aurobindo's medicines can't be sourced in the UK. Our regulators have said that we will approve Maltese approved goods but the Maltese government then has to accept UK as an importer,” Mr Shah said. Assuming a Brexit deal is brokered, the UK will remain a part of the EMA during the implementation period, until December 2020. In the UK, the availability of medicines after Brexit depends on the state of regulation and where the latter will fall under the MHRA. The UK government says that market access would remain unchanged until the end of 2020, giving the MHRA the time it needs to develop systems to regulate new medicines and healthcare products and to enable the UK to participate in clinical trials. But after that, the outcome is in the hands of the British government and the EU. The UK government has proposed a new economic partnership to “protect the uniquely integrated supply chains and ‘just-in-time’ processes”. This approach would maintain a frictionless border and allow products to undergo one set of assessments and authorisations to gain access to both markets. “As I understand, we have accepted that the previous protocol that was registered with Europe. So products made for the UK in Europe will still be okay to use in the UK even if we get out of the EU” said Vijay Patel, CEO of Waymade Healthcare Plc. “But for exporting medicines, some of our licences will have to be re-worked as it were and register with the EU,” he explained. At the moment the UK follows the European Pharmacopoeia which is the health standard of European drugs. Every European country has to meet that and it is higher than the British Pharmacopoeia (BP). “I think we will come back as 40 years ago when the BP standards will come into effect.” said Mr Patel. The Government will make sure that the compliance is there and will allow the import in that case. They might have to pay a higher duty, I don't know, but if the MHRA standards are met then there should be no problem getting those drugs inside the country. They might have to waive a higher tariff and if there is a question of a higher cost then the government will have to reimburse to the ultimate consumers” said a community pharmacist Umesh Patel. The Department of Health and Social Care (DHSC) has announced that a legislation amendment will be taking place in relation to prescription-only medicines which will allow the DHSC to write a Serious Shortages Protocol (SSP) for medicines that experience a shortage following Brexit. “Certain medicines have been recognised by the DHSC which will not be suitable for an SSP, for example, medicines used to treat epilepsy. In such health conditions, medicines must be prescribed by a particular brand – switching between different brands of the same medicine can, in some cases, have an adverse effect on the patient, potentially causing harm. 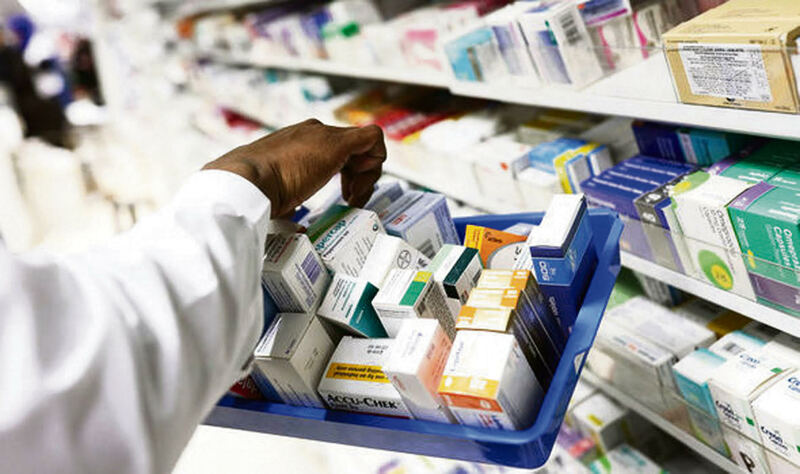 “Although there is clarity needed for certain aspects of the SSP, the NPA welcomes the changes as it will enable community pharmacies to continue in their role of ensuring patients interests are kept a priority,” said Leyla Hannbeck, Director of Pharmacy, at National Pharmacy Association. In a letter to pharmaceutical companies, the government had asked the manufacturers “to ensure they have a minimum of six weeks additional supply in the UK, over and above their business as usual operational buffer stocks, by 29th March 2019”. “We've been forced into stock-piling some products by the Department of Health. These are the products which we import from Europe- mainly Insulin, cancer drugs. But we can't stockpile Insulin because it is a temperature controlled product and our fridges can only take so much of a quantity. As a business we always have a six-eight week stock. But we aren't ourselves stock-piling.” said the co-founder for Sigma Pharmaceuticals. In the meantime manufacturers like Waymade have already geared up their production.”“So that if there were a calamity with Brexit, and there was a shortage, we have made sure that we have adequate stock to cover us for three months at least” said Mr. Vijay Patel. But community pharmacists such as Umesh Patel have expressed concerns about the creation of a market with an artificial demand for drugs as a consequence of hoarding and shortage. “For example, if I buy a packet of aspirin for 5 pence and I hold it in a warehouse and store like half a million packs and if there is a shortage in the market. So, the price goes up. It works just like stock markets. The price shoots up to £1 and I'm making a profit of 95 pence” he explained.